> Content > How does RankBrain work and what does it mean for search marketers? How does RankBrain work and what does it mean for search marketers? It’s hard to meet anyone in the digital industry who hasn’t heard about RankBrain. And it comes as no surprise that this system along with its impact on search results raises endless questions and disputes. We’ve made an attempt to understand the way RankBrain operates and if there’s anything we can possibly do to optimize for it. 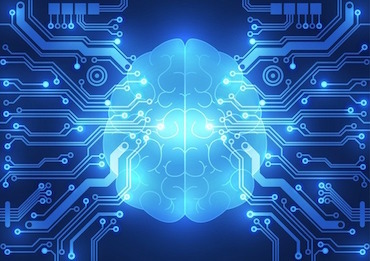 RankBrain is a machine-learning system developed by Google to help improve search results and to interpret brand new queries that haven’t been previously searched for. Some experts consider it to be part of the Hummingbird search algorithm, which was launched to help Google better understand the meaning of the entire query behind exact keywords. In this interview Greg also stated that, shortly after deployment, RankBrain has become the third most important search-ranking factor. Since it has that much of an impact, it is important to understand exactly how this algorithm works, and what changes it will bring both to end users and SEO specialists. As I mentioned above, the key purpose of RankBrain is to deliver more relevant results by interpreting the meaning of whole phrases instead of focusing on individual words. This algorithm can effectively handle complex long-tail queries, understand how they are connected to particular topics and provide results accordingly. To put it simply, RankBrain identifies patterns behind different search queries that might seem unrelated and finds similarities between them. This allows the Google search engine to understand a phrase that is has never dealt with before by correlating it with phrases it is already familiar with. What does it mean for you as a Google user? If you type in a query that Google has never encountered before, it will be correctly interpreted and matched with familiar ones. Google does not disclose the exact algorithms it uses, yet we know that its operating principles are close to the word2vec tool. Word2vec is an open source toolkit that uses a text corpus to count the distance between words and produce vector representations of words and phrases. This helps you can understand the relationship between words based on the distance between them in texts. Words with similar meanings are located close to one another terms of vector space. To learn more about word2vec and its operating principles, check out A Beginner’s Guide to word2vec by Distilled, or read the tutorial Vector Representation of Words by TensorFlow if you’re interested in more technical details. We wanted to gain a deeper understanding of how RankBrain works, and for that purpose we conducted our own experiment. We attempted to build connections between the words using the word2vec algorithm and SEMrush data (texts gathered with Brand Monitoring Tool). To get clearer results, we processed a limited text corpus related only to digital marketing and SEO topics. As a result we made a tool, which can be used to input any word from digital marketing niche and get a list of words that are considered to be the most closely related to your chosen word. These are not exactly “synonyms” (i.e., words that a have similar meaning) or “related keywords” (words returning similar results in SERPs), but something very different – words that most often occur in texts in conjunction with a given word. With our experiment we tried to understand the way Google “thinks” and which words it considers related to your targeted keywords. The results were quite interesting, as they were somewhat intuitively unpredictable. We’ve conducted a small survey of our own digital marketing specialists, asking them to give three associations to a few words, and then compared the results with those returned by the tool. How to optimize for RankBrain? According to Google’s official representatives, there is no way to optimize for RankBrain. But the fact is that you can’t simply ignore the existence of such a powerful algorithm in your SEO activities. So which conclusions can we draw from the principles of operation that uses RankBrain? Your targeted keywords, as well as their variations and related keywords (chosen with the help of your preferred keyword research tools). Additional words that most commonly appear in the same context as your targeted keywords. Write more inclusive posts, strive to cover all aspects of the chosen topic, answer as many questions as you can. The ultimate goal of Google and RankBrain in particular is to provide users with the most useful and relevant results. If you share this same goal, you’re more likely to succeed. Though this statement may sound banal, it is especially true in the context of machine learning. So don’t try to please search algorithms and systems, focus your attention on providing a better user experience, analyzing your visitors’ behavior and making changes accordingly. If people appreciate your content and consider it relevant, the algorithms will start doing the same naturally. To sum this all up, our attempt to understand one of the most mysterious Google algorithms demonstrated that it is nearly impossible to intuitively predict the way Google thinks. In addition, being a machine learning system, RankBrain is constantly improving itself, while at the same time, Google algorithms are being updated and further developed. All you can do to keep up with this, is make sure that you are always proficient and committed in everything you are doing or writing. Thus, you will succeed whatever new algorithms appear in the search industry or updates are rolled out. Yulia Khansvyarova is Head of Digital Marketing at SEMrush and a contributor to SEW.